Green Carnation plays acoustic. This album may sounds a bit similar in a way with Opeth’s Damnation, because both make an acoustic album with dark atmospheres. 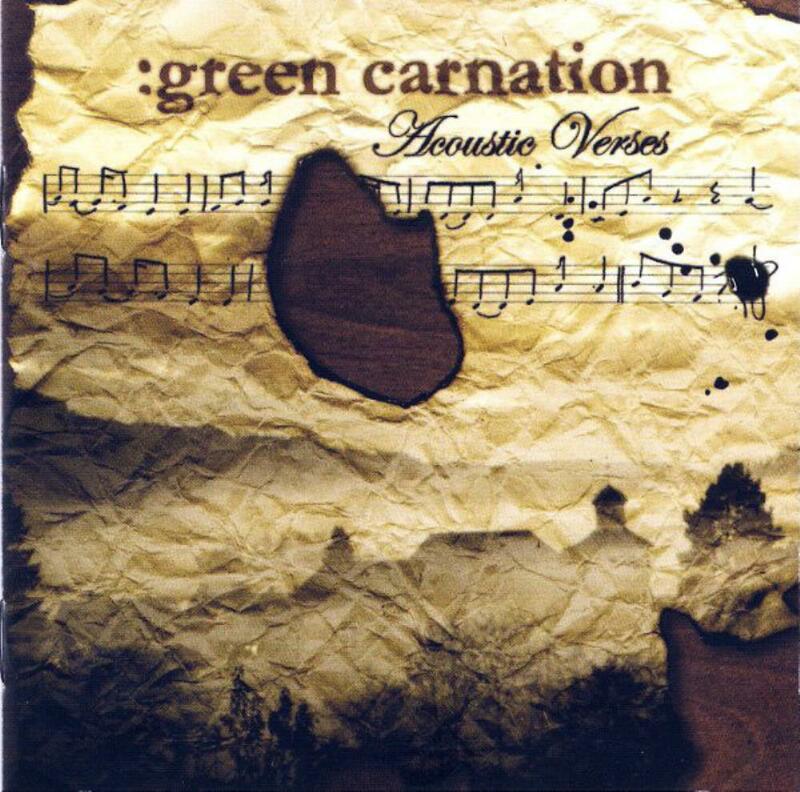 The Acoustic Verses is another ‘unusual’ album from Green Carnation, like what they did with their well-known “Light of Day, Day of Darkness”, though both albums don’t sound alike. Straight to the album then, most of the tracks in this album are quite short, except for ‘9-29-045’, and ‘High Tide Waves’. Drums are rarely used on this album, most of the tracks only played using guitar, piano, and some violin as well on some tracks. The first track, ‘Sweet Leaf’ is a good opening track. The music and the vocal form a good harmony with a dark atmosphere. ‘The Burden is Mine…Alone’ sounds like a transition track from the first track to the next one. Nevertheless, it stills a good track. Stein Roger Sordal also doing the singing here, and he did the job pretty good, I think. ‘Maybe’, this song brings the atmosphere of the album deeper and darker as well. This is a great haunting song, the vocal here is chilling, and so does the music, especially from the middle part towards the end. ‘Alone’ is a track that based on a poem by Edgar Allan Poe. The violin sounds in this track make the song sounds a bit like a folk song, and somewhat a bit more cherish than the other tracks on this album. A great track by the way, and also my favorite track on this album. Then comes ‘9-29-045’. This track is composed in three parts, the first ones; ‘My Greater Cause’ returns the album’s dark atmosphere. The guitar and violin here sounds pretty good, and quite chilling as well. Part 2, ‘Home Coming’ is an instrumental part with a great melody. This part sounds like a transition between the first and the last part. After a broadcasting voice, the song comes to the final part, ‘House of Cards’. This part has haunting vocals, synths, violins, and a great melody as well. This track could be considered as a masterpiece from this album. Next is ‘Child’s Play, Pt 3’, a fully instrumental track. The first 2 parts can be found on their previous album, “The Quiet Offspring”. The piano melody in this track is really good. ‘High Tide Waves’ is a great closing track, and sounds a bit jazzy. The vocal on this track sometimes goes heavier at some parts. The middle part of this track has an amazing guitar solo (acoustic, of course). Overall, this is a great album from Green Carnation. The songs here are well composed, though the album has a rather short length. This album deserves 4 stars.